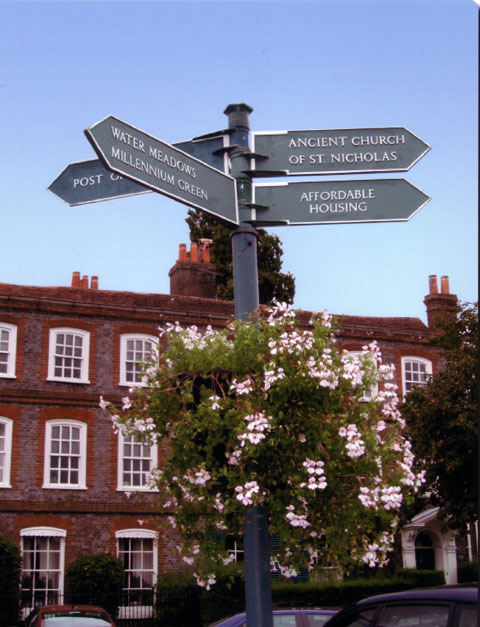 A photo of Houghton Gardens taken by Judy Lucas features in Abide in Me — just published by Caritas looking at promoting Catholic Church involvement in housing for those in need. For more information go to Abide in Me. Please enable this feature, if possible. 01962 857387 or go to: Community Action Hampshire. Wickham CLT has been invited to speak at a variety of community housing events in 2018. On 19 and 21 February, we were invited by Surrey Community Action to speak at Community Housing events in Guildford and Leatherhead attended by groups and Councils from across Surrey. On 21 April, we spoke at a lively and packed public meeting launching a possible Hale CLT in the New Forest and at Martin Parish Council (again in the New Forest) on 21 May. We also supported initial discussions about a Portsmouth CLT in April. On 22 October, we were in West Kent talking to about community-led housing there too. Finally, following our initial meeting in 2015 with Chichester Council to talk about developing CLTs, we were invited back on 29 November to speak to their developing community housing network. On the same day we returned to Tandridge in Surrey at the invitation of Surrey Community Action. It is highly gratifying to see so much interest in developing community land trusts and we are very pleased to share what knowledge and expertise we have gained along the way, and to learn more from others too. 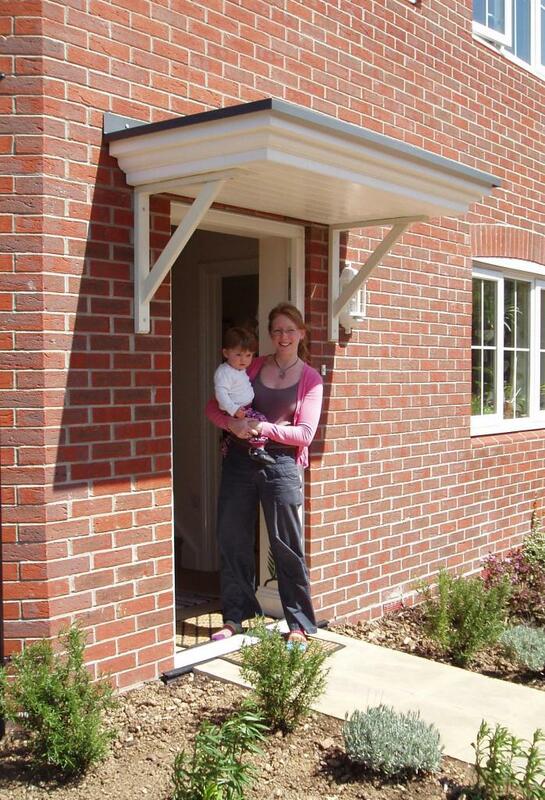 Soon a number of new developments in and around the villages of Knowle and Wickham will include affordable homes (2 and 3 bedrooms) for local people who cannot afford open market prices. Some of these homes will be offered on a Shared Ownership basis. This scheme enables would-be homeowners to purchase part of the equity (typically 50%) while the Land Trust retains ownership of the remaining equity. Mortgages for such Shared Ownership arrangements are therefore considerably more affordable than if you owned the home outright. A new, if temporary, resident moved in at the beginning of March 2018. 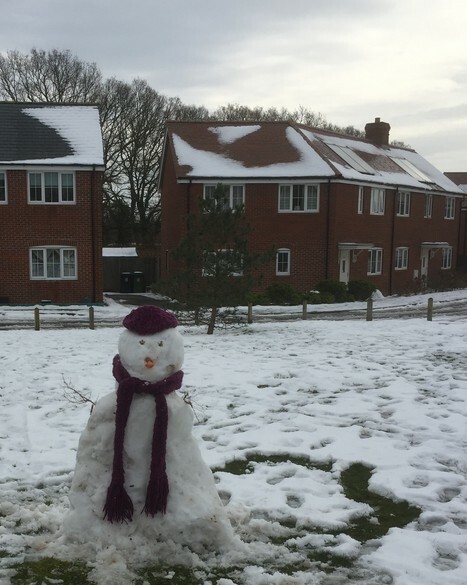 In Hampshire, it is very rare to be able to use snow in this way but, we assume, several local residents made good use of this opportunity. An exhibition and consultation event regarding a proposal for new housing at Knowle that also releases community open space in the water meadows between Wickham and Knowle was held at Knowle Village Hall on Fri 2 Feb 2018. Residents of Knowle and Wickham visited the proposed development site and the water meadows by the River Meon. Wickham CLT trustees attended on both days as WCLT has been invited by Homes England and Winchester City Council to be a potential provider of affordable homes for local people on the site. Please click here to see a map and more information. In July 2017, Wickham CLT put on a display and spoke at the Hampshire Alliance for Rural Affordable Housing (HARAH) Rural Housing Conference held at Wickham Community Centre and delegates visited Houghton Gardens and one of our properties to talk to our residents. In June 2017, two New Forest Parish Councils, interested in Community Land Trusts, visited Wickham CLT. In March 2017, thanks to a grant from Cllr Stallard (Hampshire County Council), and the hard work of our Committee member Chris Cook, we updated our publicity boards, including the addition of two pull up banners and purchased a set of display boards and a table. In January 2017, Surrey Hills CLT visited us to look at the practicalities of developing a Community Land Trust. In October 2016, two WCLT Committee members spoke at Abbotts Ann Parish Council about our project, following their earlier visit in 2015. The Parish Council agreed to explore the possibility of establishing a CLT locally on land that they own. In 2015, the Government announced plans to force charitable organisations registered with the Homes and Communities Agency (now called Homes England) to sell their properties to tenants. This would extend existing "right to buy" legislation. Wickham CLT joined a vigorous campaign by the National Community Land Trust movement to revise a policy that would destroy the purpose of Community Land Trusts by selling off affordable homes in communities already under housing pressure. WCLT trustees travelled to London to lobby supportive MPs and Lords of all parties and met George Hollingbery, our local MP, in January 2016. The campaign was successful and CLTs were recognised as organisations that would not have to participate in what is now being piloted as a voluntary scheme. In August 2015, Wickham CLT hosted a meeting with Chichester City Council to help them explore the possibility of supporting Community Land Trusts in their area. In February 2015, Wickham CLT hosted a visit by Abbots Ann Parish Council Members interested in possibly developing a Community Land Trust. 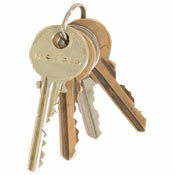 With the handing over of the keys of our last-available shared ownership house on Fri 19 Jul 2013, Wickham Community Land Trust achieved its aim of full occupancy of all 8 of its properties. National Community Land Trust Awards 2013 Wickham CLT was a finalist in the "Most Entrepreneurial CLT" category. We are pleased to report that, on Mon 6 Aug 2012, Wickham Community Land Trust bought eight homes in Houghton Gardens, Wickham. The first tenants of the Trust moved in within days. Thus, we completed the first chapter of the Trusts history of service to the community of Wickham. It took seven years of dedication and hard work. Now we can offer our homes to local people who cannot afford to rent or buy local private housing or do not qualify for affordable homes through a housing association. Recently, our first project has been the subject of a Parity Trust Video. Four of the Trusts homes are designated for rental and four are for shared ownership. In the latter category the occupant obtains 50% of the equity value of the home while the CLT retains the remaining 50%. Shared ownership residents can never obtain more than 80% of the equity so we are able to retain the use of all the homes for local people, at affordable cost, in perpetuity. To keep the homes local, there is a rigorous screening process. Our purchase of homes will help to sustain a balanced and thriving community in Wickham. We wish all our residents a happy time in their homes and we thank them for their patience during our long-winded purchase. most recently, our very grateful thanks to those local people who have made generous donations to the Trust, so vital in providing much-needed cash. This page was last updated Sat 22 Dec 2018.